Opportunities like this dont come around often! Wait until you see this amazing 5.12 acre lot sitting on a quiet cul-de-sac street in rural Lithia! You will fall in love with this private location from the moment you arrive! Private gate, long driveway and nothing but nature surrounding you! If you are looking for the perfect fixer upper project this home is just the ticket! 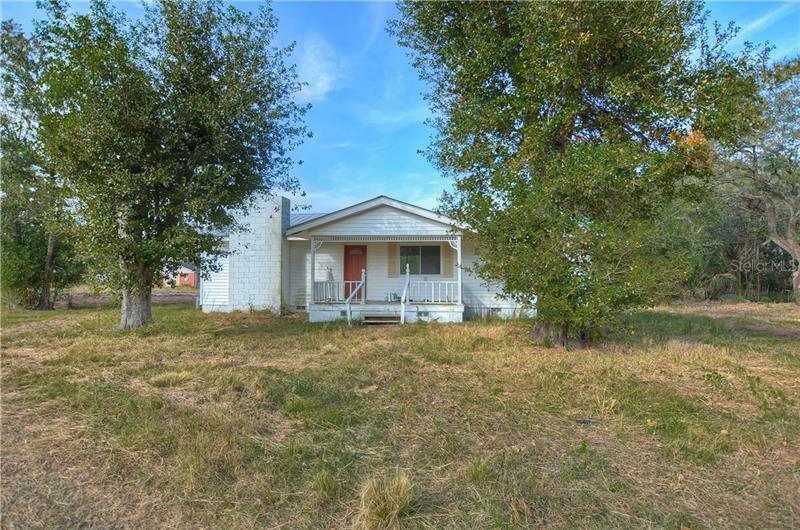 The 2 bedroom, 2 bathroom home needs a little TLC but has the potential to be a charming farmhouse! Spacious family room, master bedroom and a large living room that could easily be turned into a 3rd bedroom if needed! Surrounding property will NEVER be developed! A blank canvas awaits you! Maybe you just want the perfect spot to build your DREAM HOME? This lot comes equipped with a well, septic tank and electricity! Bring your builder and envision all the possibilities! Need space for your toys? With NO HOA and NO deed restrictions, there is plenty of space to park your RVs, boats and trailers! There is even a pole barn on the property for covered storage! Zoned agricultural, so bring all your animals! The zoning on this lot also allows one unit per 2.5 acres, so you could even build TWO homes on this lovely lot with plenty of room to spare! Still a rather quick commute to I-75 and zoned for great schools! This is truly a family space with all the potential to be your dream estate! Come take a look for yourself, you will not be disappointed!